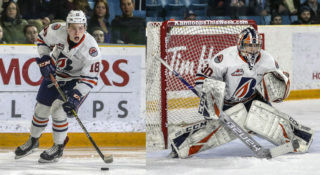 In our eighth of eight opening round 2019 WHL Playoffs previews, we examine the Victoria Royals and the Kamloops Blazers. 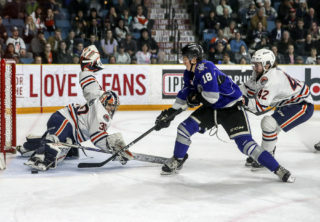 For the third time in history, the Victoria Royals and Kamloops Blazers are set to faceoff in the WHL Playoffs. The Royals enter the 2019 WHL Playoffs as the top seed in their first-round series against the Blazers. 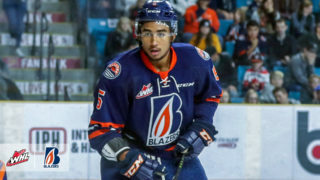 Though Kamloops was the last of 16 teams to quality for the WHL’s big dance, don’t expect the Blazers to go down easy. Facing a seven-point deficit in the standings, the Blazers trailed the Kelowna Rockets as the 68-game WHL campaign wound closer and closer to its conclusion. For the better part of two weeks, the Blazers were fighting for their playoff lives, battling to catch the Rockets while elimination from the WHL Playoffs nipped at their heels. And yet, somehow, here we are. It isn’t quite dramatic enough to be called a miracle – at least not yet. But it certainly is most definitely improbable, to say the least. Do the vast majority of this without starting overage netminder Dylan Ferguson, a prospect of the Vegas Golden Knights, while a fresh-faced 16-year-old rookie by the name of Dylan Garand stands in and mans the blue paint. So, that is how the plucky Blazers came to match up with the Royals in the first round of the 2019 WHL Playoffs. The story for Victoria was a much different one. The Royals battled down the stretch without the likes of leading scorer Kaid Oliver (27-22–49) and power forward Kody McDonald (20-22–42), among a variety of others. Having rested a number of key players after securing the second position in the WHL’s B.C. Division, the Royals should be relatively healthy and ready to go. What can be said for certain is that Griffen Outhouse – the goaltender who has become so synonymous with the Royals in recent years – will want to make the most of his final trip to the WHL Playoffs. The 20-year-old product of Likely, B.C. is set to graduate from the WHL at the conclusion of the campaign, and having never advanced beyond the second round, there is no question the man known as a human highlight reel will have his sights set on a deep run this spring. After consecutive seasons of 60-plus appearances in 2016-17 and 2017-18, Outhouse should be a little more rested heading into the 2019 WHL Playoffs, having appeared in 46 contests this past season. Reliable support from rookie backup Brock Gould allowed for this and Outhouse could be the ultimate difference maker in the series for the Royals. Having dealt spitfire forward Dante Hannoun to the Prince Albert Raiders at the WHL Trade Deadline, the Royals will not only need a standout performance from Outhouse, but for a few from the supporting cast to step up and chip in on offense. Slick import Igor Martynov is one of those who will be leaned upon. After notching four points (1G-3A) in 11 games during the 2018 WHL Playoffs, the product of Krasnoye, Belarus, followed up with 42 points (11G-31A) this past season. All in all, the Royals claimed a 5-3-0-1 record in the nine-game regular season series with the Blazers. All set! 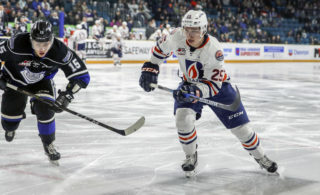 @victoriaroyals welcome never-say-die @blazerhockey for first round of 2019 #WHLPlayoffs! Second Place – B.C. Division Standing Third Place – B.C. 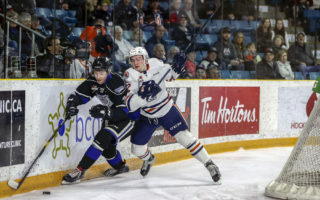 Contain Connor Zary: The Blazers peppy forward has been on an absolute tear the past week, notching critical goals against the Prince George Cougars and in Tuesday’s tiebreaker game versus Kelowna. The 17-year-old product of Saskatoon is turning into a real gamebreaker in his second WHL season. It will be of great benefit to the Royals to keep the speedster to the perimeter and away from the high percentage areas. Physicality: A quick step, commitment to finishing checks and boisterous energy helped put the Blazers over the top and past opponents down the stretch. Defenceman Montana Onyebuchi (5-15–20) has provided a strong arm and will keep challenging forwards, keeping them honest. If Kamloops can dictate the physical play and capitalize on the energy they seem to take from that, they will find success. RW D-Jay Jerome (23-19–42): After showing great promise in his WHL rookie campaign, which saw him muster 16 points (8G-8A) in 55 games split between the Red Deer Rebels and Prince Albert Raiders, Jerome battled during the 2017-18 season, managing one lone assist as he split 44 games between the Raiders and Royals. With renewed confidence and a bigger role in 2018-19, the product of Lethbridge, Alta., has excelled, tallying a career-high 42 points (23G-19A) in 68 games. 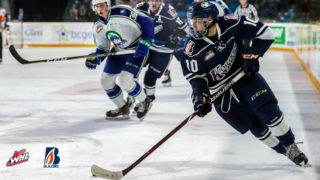 C Logan Stankoven (0-1–1): The 16-year-old hometown kid was selected fifth overall at the 2018 WHL Bantam Draft, but has already found his way into seven WHL regular season games, as well as the 2019 WHL Tiebreaker Game. With his Thompson Blazers eliminated from BCMML contention, Stankoven is now eligible to remain with the WHL Blazers for as long as their season wears on. Though young, Stankoven rewrote the BCMML record book in 2018-19, registering 103 points (49G-54A) in 38 games. There’s no questioning the kid has talent. Ralph Jarratt (6-9–15): The 6-foot-2, 224-pound product of Fort St. John, B.C., won’t wow with any flash, but he’s a veteran of 268 WHL regular season contests who knows how to take care of his own end. With a career rating of plus-36, the 21-year-old Jarratt has been steady for five seasons in Victoria. He skated in a career low 32 games this season, but when healthy, is not an easy customer to deal with. Montana Onyebuchi (5-15–20): The 19-year-old product of Dugald, Manitoba, is one of the few remaining throwbacks to hockey of yesteryear. At 6-foot-3 and 210 pounds, Onyebuchi can skate well enough to keep pace in his own end, he has a big shot from the blueline in the offensive end of the rink, and boy, if you dump one of his teammates, look out. If there is one player who really knows how to fire up a Sandman Centre crowd, it’s Onyebuchi. Griffen Outhouse (46 GP, 27-16-1-1, 2.81 GAA, .931 SV%): The 21-year-old veteran has been a loyal soldier for four seasons in Victoria, and honestly, it is almost tough to imagine a Royals team without him. Over 196 career regular season contests, Outhouse has racked up an impressive record of 114-60-11-4 with a career 2.77 GAA, .917 SV% and 10 shutouts. For each of those 114 wins, there has to be at least two accompanying highlight reel stops. 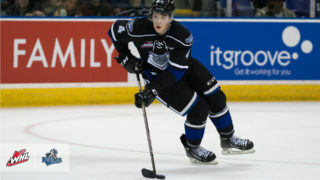 He always has been a key piece to the Royals success, and that fact doesn’t change come the 2019 WHL Playoffs. 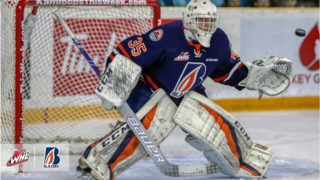 Dylan Garand (27 GP, 11-7-2-1, 2.94 GAA, .902 SV%, SO): The 16-year-old rookie from Victoria stepped in and performed beyond admirably as the Blazers scorched their way to the final playoff berth in the Western Conference. With Dylan Ferguson’s status still up in the air, Garand may be turned to for what will ultimately be the biggest WHL stage he has yet to face. The 6-foot, 170-pound puckstopper helped backstop Team B.C. to the WHL Cup in October 2017, so he is no stranger when it comes to rising to the moment. 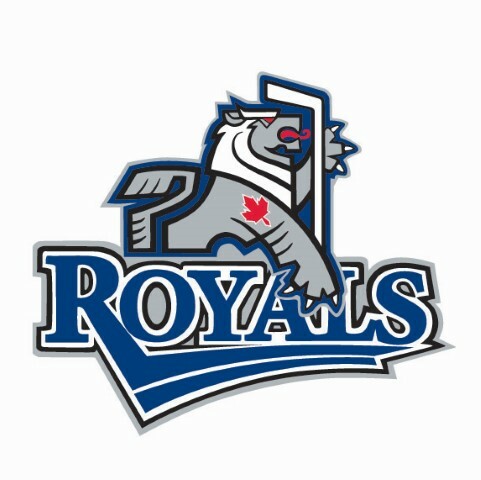 Year after year, the Victoria Royals have put forth strong regular season performances, only to sputter in the playoffs. Since moving to the Island in 2011, the Club has yet to advance beyond the second round. This does mark the 10th consecutive playoff appearance for the Royals, and they’ve managed to get to the second round in four of the past five post-seasons. But with no WHL Championship to sit on the franchise mantle, you know the organization is hungry for it. 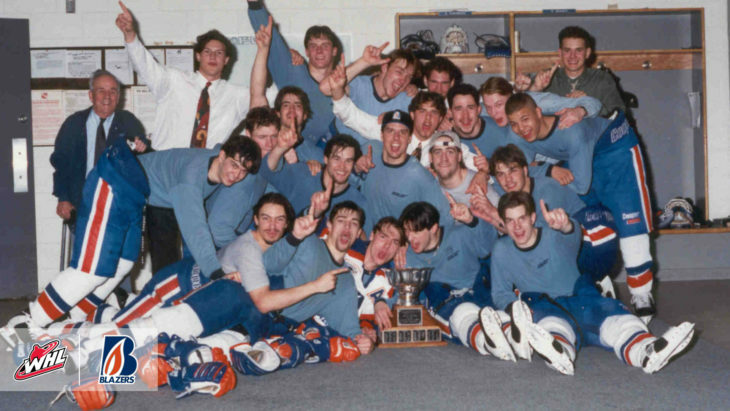 Since arriving in Kamloops in 1981, the Junior Oilers/Blazers have collected six WHL Championships. But recent history has not been quite so kind. After advancing to the Western Conference Championship in 2013, the Blazers have missed the missed in three of the past five seasons, including 2018. 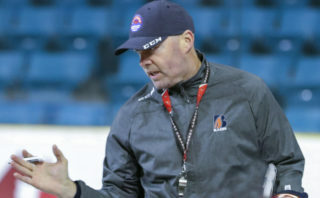 Back in the dance once again, and with a renewed optimism courtesy their late season push, could this Kamloops squad be of the darkhorse variety?